Our accredited SLE training programme is facilitated by expert senior leaders from within Pioneer Teaching School. The training encompasses 1 full day and 2 half-day sessions which are designed to develop the skills, qualities and understanding required for an effective specialist leader of education (SLE). The first day is an introduction to school-to-school support and the role of the SLE. It provides SLEs with essential information about the role and will equip them with the tools and techniques for effective school-to-school support. 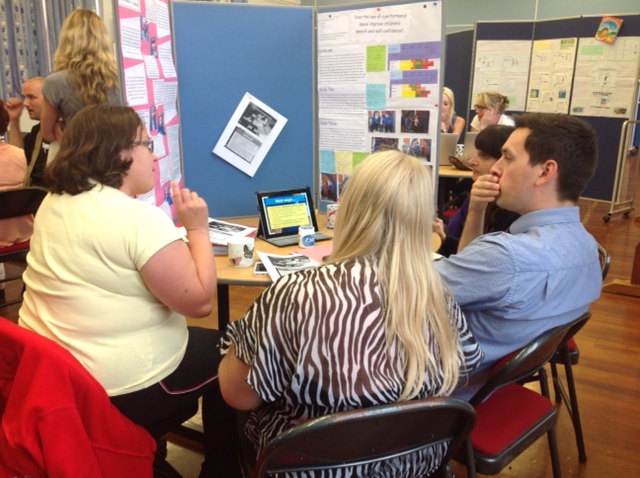 It also provides an opportunity to meet other SLEs. The half-day sessions cover coaching the improvement of teaching and learning. Once successfully completed, SLEs can be deployed by their Teaching Schools in school-to-school support. Lunch is provided. All sessions will take place at Harrison Primary School in Fareham, Hampshire, PO16 7EQ. SLEs working on behalf of other Teaching Schools - £100 per person. SLEs working for Pioneer Teaching School - the fee will be covered by Pioneer Teaching School. To enquire about booking this programme, please contact our Teaching School Administrator, Paula Parkes at pioneer.alliance@harrison.hants.sch.uk. If you are interested in joining our team of SLEs at Pioneer Teaching School, please see the guidance regarding our application process on the link below. We would be delighted to hear from you and discuss the role further with you and your headteacher.